Thank you to all the riders that have participated in our ride over the past 6 years! Thanks to your help, we’ve been able to donate over $250,000 to Bert’s Big Adventure! This event is open to anyone who wants to hit the streets, whether you’ve got a street bike, a mountain bike, a wheelchair or a good ole cruiser. Bring the family! This is a fun ride and is appropriate for any skill level so come ride with us! 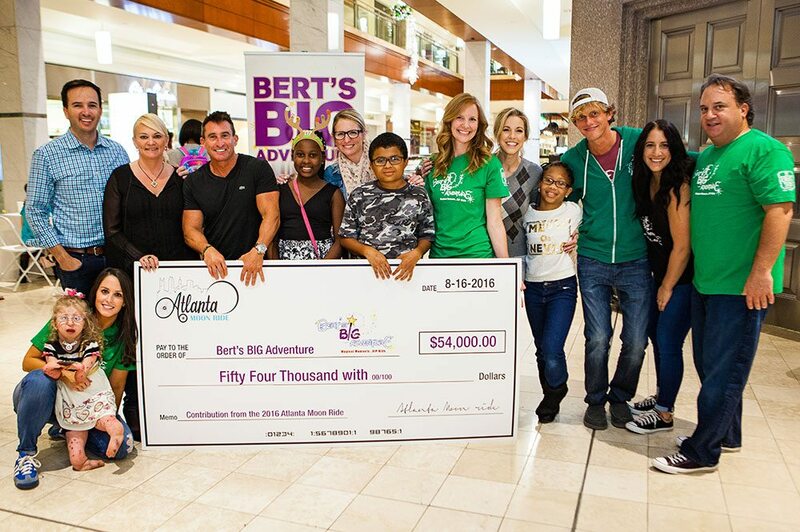 Over the past 6 years, the Atlanta Moon Ride has donated over $250,000 to Bert’s Big Adventure! Bert’s Big Adventure is a nonprofit organization that provides a magical, all-expenses-paid, five-day journey to Walt Disney World® for children with chronic and terminal illnesses and their families.